Announcing our new social networking sites! N Due Season is excited to announce our new social networking sites! You can connect with us on Twitter, Facebook, and this new blog. Be sure to check them out and be sure to follow us and become a fan! Also, don't forget to sign up for our newsletter. You'll find sign-up boxes on our Web site and Facebook. 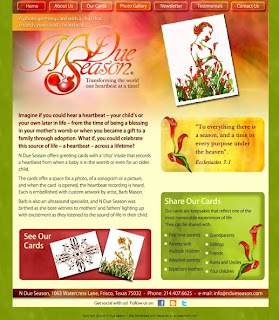 You can always find us online at www.ndueseason.com.